Global Business Intelligence (BI) and analytics software vendor, Yellowfin, has been named among the world’s 20 most popular BI solutions in an industry study by enterprise software advisory firm, Capterra. The review, compiled by independent industry research conducted by Capterra in conjunction with vendor-issued information, ranked vendors’ popularity based on the number of customers, active users and social media presence of each product. Director of Marketing at Capterra, Katie Hollar, said that in a crowded BI market, it was “important to find the right software to fit the data needs of your company”. 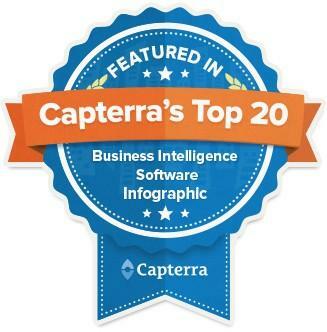 “We think [Capterra’s popularity and usage figures] are the best estimates currently available to the public, and a better representation of the BI market than looking at revenue alone,” said Hollar. Yellowfin CEO, Glen Rabie, echoed Hollar’s sentiments, stating that BI success and marketplace influence were made up of multiple factors. “While Yellowfin’s business has experienced substantial growth in 2014, it’s important to look at the reasons behind that success,” said Rabie. “We’ve been able to win new customers and impact the BI market by delivering both a customer-centric product and a flexible and transparent approach to doing business. A company culture that puts satisfying our clients’ BI objectives first.